One of my favorite appetizers to order from PF Chang's is their Crispy Fried Green Beans. I'm so addicted to to them that I could probably eat the entire basket all by myself. Last month I attended the Walmart Shareholders meeting in Bentonville, Arkansas we had dinner at PF Chang's. 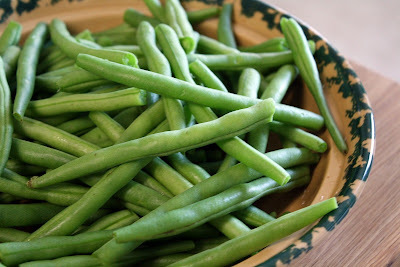 Between all of us girls we chowed down on a couple baskets of these yummy green beans. I don't know the exact dipping sauce PF Chang's uses, but I do know it was an Asian inspired sauce. The recipe that I am sharing with you today includes a Zesty Dipping Sauce. I didn't care for the sauce too much so I used a Asian Sesame Dressing instead. I can't remember the exact brand, but you can find it in the salad dressing isle at the grocery store. I found this recipe in Taste of the Souths, Southern Favorites Magazine. 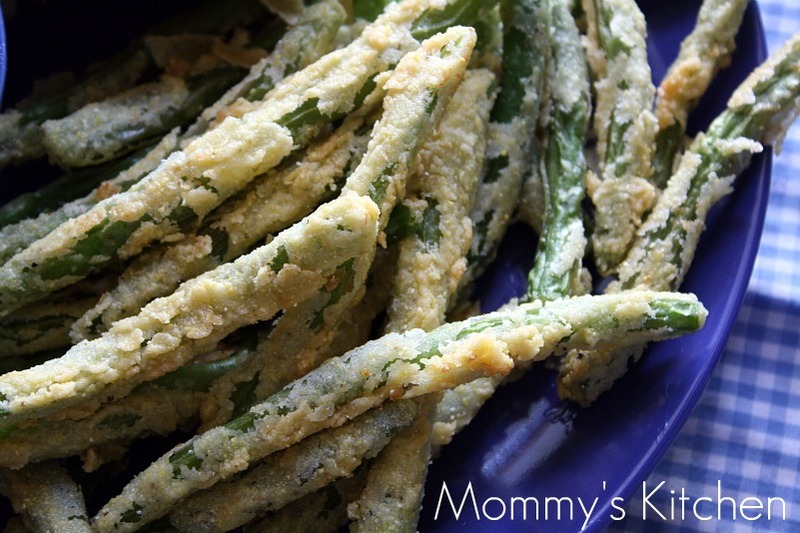 These green beans are crispy on the outside and tender, but still have a bit crunch on the inside. I was a little bit worried that the green beans would not cook all the way through by frying them, but they did. I also double dipped my beans in the batter after the first batch. The batter seemed to stick better doing it twice. 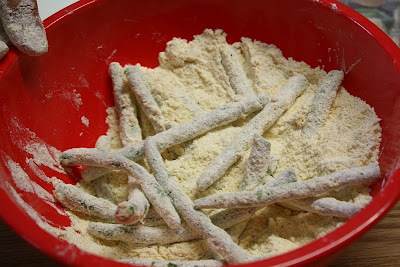 dip in the buttermilk and then dredge through the flour and cornmeal mixture. I recommend double dipping because the batter really sticks so much better. and enjoy with your own favorite sauce or use the Zesty Dipping sauce. In a small bowl, combine mayonnaise, ketchup, Worcestershire, pepper, and garlic salt. Whisking to blend. Store in refrigerator until ready to use. In a large dutch oven, pour oil to a depth of 2 inches. Heat oil over medium-high heat to 375 degrees. In a medium bowl combine flour, cornmeal, salt, black pepper and red pepper. Fry beans in batches, until golden brown and crisp, approximately 3 to 5 minutes per batch. remove from oil and drain on paper towels. Serve warm with zesty dipping sauce or Asian sesame dressing. Ooo! I love these at P.F Changs, too! Thanks for the recipe, it looks mouthwatering to me right now, haha! These look so good! And I love P.F. Changs too. Their food is so good. So sad that we have a PF changs within 15 minutes of me and I have never been. These sound AMAZING! Goodness Leslie get in that car girl and go have some crispy fried green beans. They are to die for and you won't be sorry. 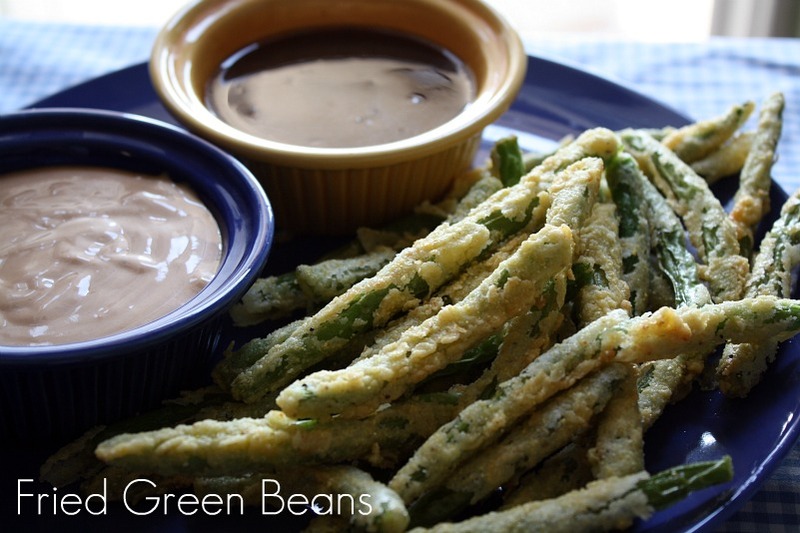 I love Fried Green Beans! Thanks for sharing this! Oh goodness...I may never leave the house again if I start making these. Unless I need to go to the store to get more green beans..lol. I love food blogs - love your recipes! I made the Chocolate Eclair cake from here and posted it on my blog(http://cheryls-here.blogspot.com/). It is so delicious! Oh man - these look great. I think my kiddos might even eat them! The look green beans and anything fried so I am thinking they might! Thanks for the recipe! Oh Wow! Am I ever glad that you posted this. 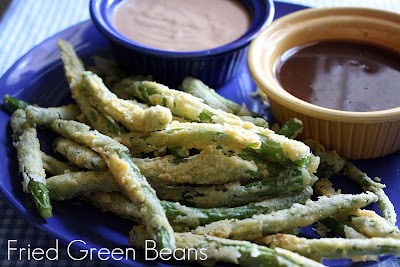 I love the fried green beans at TGIF-Fridays, but it is a 3 hour drive to the nearest one. No PF Changs either. These are going on my Friday Finds list this week and getting made this weekend. Green beans are abundant here right now. The dipping sauce sounds like a variation of fry sauce. Yum! I know I'll like that! I prefer the asian inspired sauce that pf chang's uses. The zesty dipping sauce was ok, but I just prefered the asian sesame dressing I had on hand instead. I love PF Chang's, mainly for their great gluten-free menu, however, vegetable tempura is one of my faves! Great recipe you've made here. Thanks for the inspiration! Oh man, I really need to try these...amazing! Wow, this looks delicious and VERY addictive! Thanks for sharing! I am new to your blog and have been having the best time looking around at all the things you have going on here! Thanks for doing such a great job and for supporting families. It does feel like home. every recipe of yours turns out delicious. i made these tonight. i used the asian dressing from the store, but it wasn't creamy enough so i added ranch dressing to it. PERFECTION. try to visit, its great! That seems delicious! I've never thought of deep-frying green beans! But your picture looks too tempting that I want to try it out NOW! Your blog is amazing and there's a lot to learn!! Great job! Do drop by when you have time! Thanks! Wow!! I have a weakness for all things fried!! Love these at P F Changs!! Putting these on next weeks menu!! Thanks for sharing. I use Mayonaise and Siracha for the dipping sauce. The sauce they are traditionally served with in a resturant is a wasabi cucumber sauce. :) Thanks for the recipe making these tonight!! Could you do the same thing with asparagus? Had some the other night & only offered a taste once! The rest was mine! 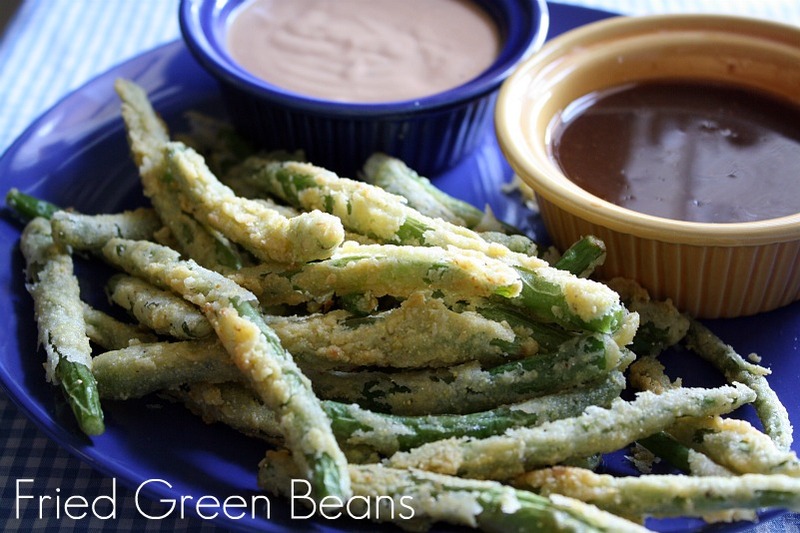 Love fried green beans too though! Going to try these tonight. Thanks for the recipe. I am going to use a horseradish, marsapone sauce. Its yummy as well.